Warrior running back Darshan Bolen tries to shake a defender. Warrior Lane Johnson makes a catch. Warrior quarterback Lane Schall looks for some running room. ARLEE – The Arlee Warriors were the lone Mission Valley area high school football team to advance into the 2018 postseason, and they won against visiting Centerville Miners 36-32 in the opening round of the Class C 8-Man football playoffs last weekend, but they ended up losing to Fairview in another matchup. Entering the game as the second-seeded team in West, the Warriors put the first points on the board with a 29-yard touchdown pass from Lane Schall to Chase Gardner against the Miners. Centerville scored the next two touchdowns taking the score to 14-6 with a first-quarter lead. Defensively, Arlee held the Miners scoreless in the second quarter. Schall threw touchdown passes to Gardner and Colt Crawford to take an 18-14 half-time lead into the locker room. In the third quarter, Arlee scored their fourth touchdown pass of the day, however, the Miners scored twice to end the third quarter with a 26-24 lead over the Warriors. The fourth quarter saw the Warriors score twice to take a 36-26 lead. A late fourth quarter Miner touchdown and a missed two-point conversion ended the game with a 36-32 Warrior victory. On Saturday, Arlee traveled 500 plus miles to battle the eastern top-seeded Fairview Warriors in a quarterfinal matchup. 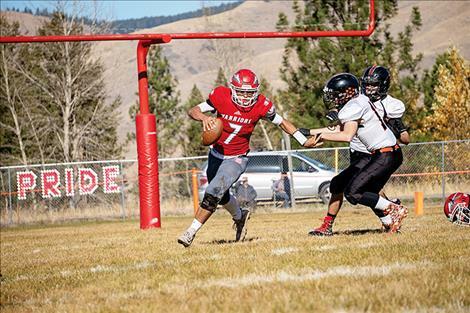 The undefeated Fairview team trounced Chinook 70-6 in their opening round of the playoffs. 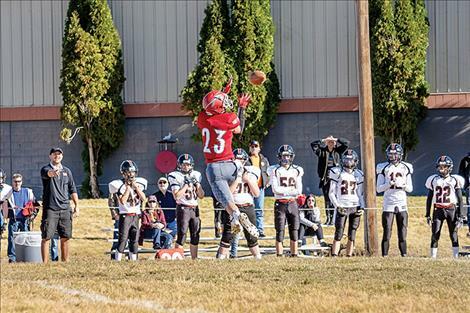 Fairview faced a much stiffer test against Arlee. Arlee’s offense has been explosive this season, scoring 50 points or more in six of its nine games so far this year, including hitting the 60-points or more mark twice. Arlee scored the first points and held Fairview scoreless in the first quarter. In the second quarter, Fairview scored twice to take a 12-6 led over Arlee as both teams headed into the locker room at the half. In the third quarter, Arlee scored on a 72-yard kick-off return, while Fairview countered with a score of their own to end the third with a 20-12 lead. 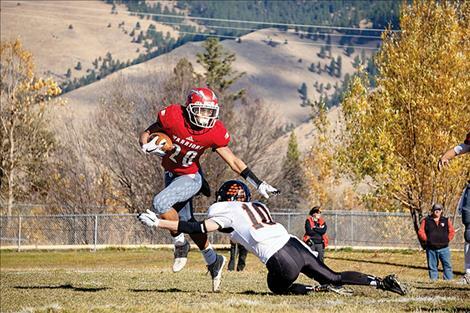 The fourth quarter saw Fairview score two more touchdowns while holding Arlee to a later fourth-quarter score. Fairview’s 32-20 win ends the Arlee season with an overall record of 7-3.